Health campaigners and charities have given the thumbs-up to George Osborne's so-called "Sugar Tax". The Chancellor announced a levy on extra-sugary drinks in Wednesday's Budget (March 16). 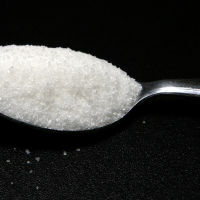 High sugar consumption can increase the chances of people developing heart disease, diabetes and bad teeth. And Mr Osborne reckons that the UK economy loses £27 billion every year due to obesity. People suffering from heart conditions can be left to relax and concentrate on having a great holiday by taking out heart-related travel insurance. This covers travellers with heart-related conditions from irregular heartbeats to cardiomyopathy. As well as covering unexpected medical complications when tourists are abroad, it can also cover flight cancellations, trip delays, stolen luggage and lost travel documents. The new levy is due to be introduced in April 2018. The measure is likely to bring in £520 million to the Treasury. The cash will be diverted towards doubling sports funding among primary schools. Secondary schools will be urged to provide extra sports lessons in an extended school day. The higher rate of tax will apply to drinks containing over 8g of sugar for every 100ml of drink. A lower tax will apply to those containing 5g per 100ml. It is estimated that consumers could have to pay anything from between 18p and 24p more for their fizzy beverages, although the rates have yet to be finalised. The Government hopes that the tax will encourage drinks firms to lower the proportion of sugar and sweeteners in their drinks. Celebrity chef Jamie Oliver called the action "profound" on social media. He says he never expected the idea to be made law. NHS England chief executive Simon Stevens described the tax as a "welcome" and "bold" move. Children's Food Campaign co-ordinator Malcolm Clark says the levy is a key triumph for the health of children. Soft drinks manufacturers' shares dipped after the announcement.